If you are looking for the ultimate ninja sword, you will find it in this Black Ninja Sword with Cross Guard. The blade has been constructed from 440 stainless steel with a chisel point and given a black coating for a tactical look. This blade comes full tang, so you can be sure it is strong and reliable. Black paracord is wrapped around the handle to provide a secure grip. The guard is a cross design with a cut out pattern. Included with this ninja sword is a black nylon sheath with a snap safety and adjustable shoulder strap. 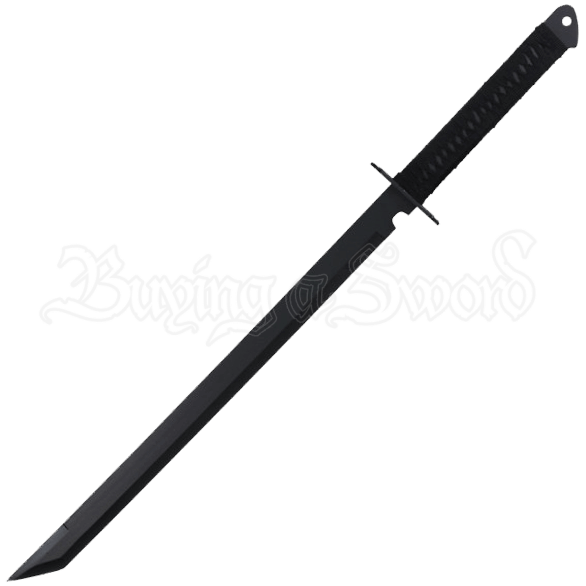 Live out your ninja fantasies with this Black Ninja Sword with Cross Guard.